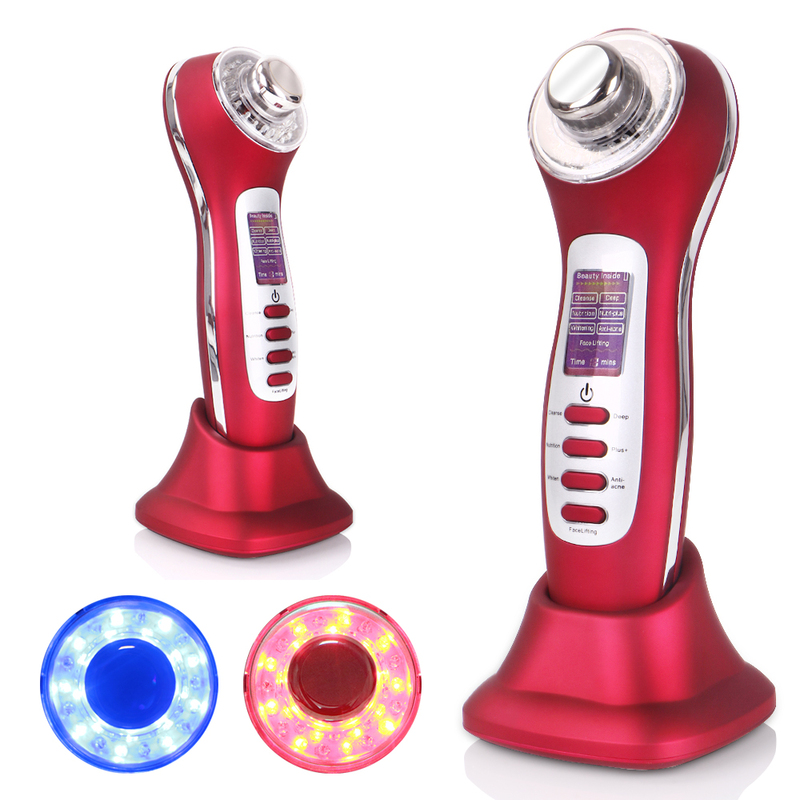 Galvanic IONS deeply cleanses the skin of impurities that can cause a dull and lifeless appearance. this process happens when negatively charged IONS attract and encapsulate toxins, preparing them to be removed. Following up on this, the positive IONS work to attract the encapsulated impurities from within the skin. Not only does this treatment leave the skin thoroughly clean, but also improves oxygenation and circulation, which promotes cellular health and helps to stave off free-radical damage and premature ageing. Moreover, blue light at 415 nm has effective disinfection function. It can reduce the oily secretion and destroy the bacteria that actually cause acne.